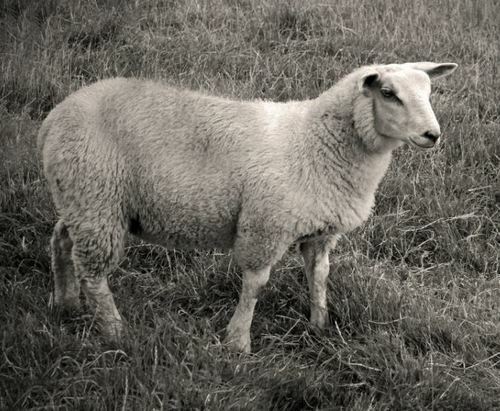 The Godmersham Lost Sheep Society Needs Your Help! The Godmersham Lost Sheep Society (GLOSS) is on the hunt for wayward books out on the lamb that once belonged to Jane Austen’s brother, Edward Austen Knight and has put out the call for help. First, the facts: Edward inherited three estates from his adoptive parents, Thomas and Catherine Knight: Godmersham Park in Kent, Chawton House, and Steventon, both in the English coastal town of Hampshire. A catalogue Edward prepared in 1818 lists over 1250 volumes for Godmersham alone. Jane frequently consulted these books, and to recover them could potentially provide new insight into the Pride and Prejudice author’s research methods and inspiration. Most of the Godmersham books were sold in the years following Jane and Edward’s death, but the ones that remained were embellished with one of three bookplates inserted by Edward’s grandson, Montagu George Knight. If you happen upon such a volume, GLOSS would very much like to hear about it. The search has already yielded positive results and some books have been donated to Chawton House Library, which does not have funding to make acquisitions but happily accepts verified donations. The Godmersham Lost Sheep Society (GLOSS) is on the hunt for wayward books out on the lamb that once belonged to Jane Austen's brother, Edward Austen Knight and has put out the call for help. First, the facts: Edward inherited three estates from his adoptive parents, Thomas and Catherine Knight: Godmersham Park in Kent, Chawton House, and Steventon, both in the English coastal town of Hampshire. A catalogue Edward prepared in 1818 lists over 1250 volumes for Godmersham alone. Jane frequently consulted these books, and to recover them could potentially provide new insight into the Pride and Prejudice author's research methods and inspiration. Most of the Godmersham books were sold in the years following Jane and Edward's death, but the ones that remained were embellished with one of three bookplates inserted by Edward's grandson, Montagu George Knight.